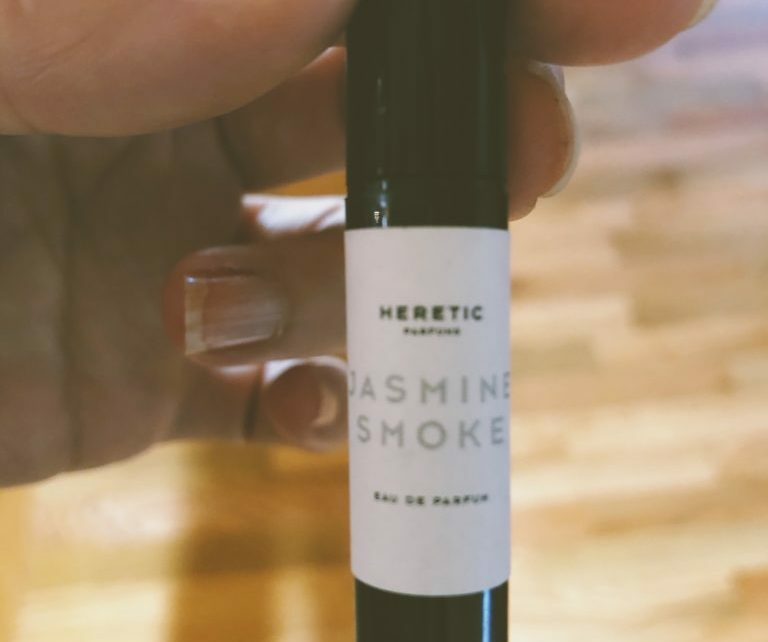 I came across this perfume by Heretic Parfum on the Goop website (hush now, we’re not talking about Goop here) and upon reading the description, I knew I had to have it. I am HUGE fan of just about everything lemon – you should see my iPhone case. Also, I almost always have a batch of homemade limoncello in my freezer. ALSO, would you check out that box? These people get me, though personally, I have pair. Speaking of smoky – I loved this scent so much that I immediately purchased their Discovery Kit in order to sample their other scents. So far I have tried Holi Water and Cœur Noir which I liked just fine. I think I’d prefer Holi Water in a candle or even as a scent for Fall. Cœur Noir grew on me. Today, however, I tried the Jasmine Smoke which I was not a huge fan of, at first. As time wore on, I found myself feeling deeply nostalgic, taken back to my days as a child running feral through the fields and woods behind my grandmother’s house at the tail end of Summer. Dried wildflowers and the early days of leaves burning. Even further along in the day, the warm vanilla really began to shine. I think I’ll have to buy this one as well. Smoky scents get me every time. The Discovery Kit includes ten samples, so I have seven more to go through. I’m very eager to get to the Dirty Rose and Dirty Neroli and well… here, just take my money, guys. Jasmine Smoke, from their site: From the top you get crisp and citrusy bergamot combined with spicy, woody coriander. At its heart lies calm yet seductive jasmine absolute, and the base is a marriage of silky tonka bean, leathery blonde tobacco and singed choya ral. * Disclaimer: I do not do sponsored posts. There would be no point – almost no one other than my ex boyfriend and, apparently, his wife read my site regularly! < insert raucous laughter > I post about things I love because I love them, the end.